The 2004 Domaune de Chevalier Blanc was ,for me, the wine of the with meal,with its medley of refined fruit ,spice and complexity with acidity holding the package together. 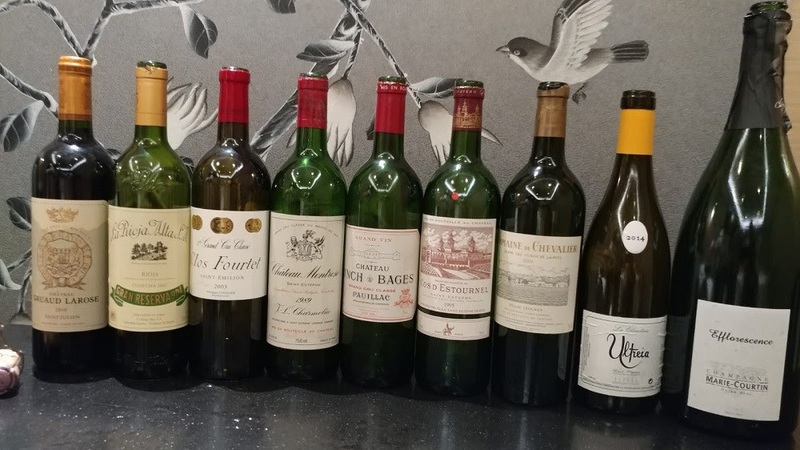 For the reds,the star was the 2000 Chateau Lynch Bages, always a favourite,but what style with blend of pauillac character of cedar wood, cigars,dark fruits ,structure,and long length---lots of life to go. 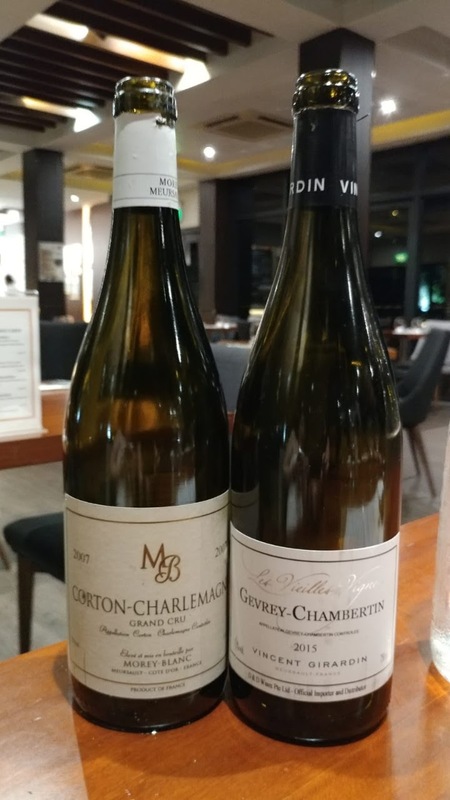 From that feast to a nice bistro dinner with just two wines which were both drinking very well,especially the Corton Charlemagne,but the young Gevrey was still very approachable and enjoyable. Well that's my weekend in a nutshell---looking forward to more in the next few months. Great lineup. The 2000 Lynch Bages is fantastic. The 1995 Cos D’estournel disappointment could be bottle variation. I’ve been pleased with most ‘95 and ‘96 Cos bottles. That must have been some lunch!